The best use of a transformer's internal impedance is for calculating available short circuit current on the secondary winding. This allows you to select an appropriate downstream OCPD. You not only need to know the KVA and % impedance but the open circuit output voltage as well. 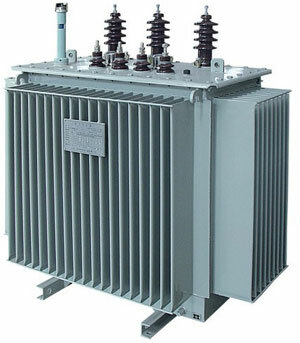 For example a 1500 KVA 3 phase transformer at 480 volts secondary has a nominal available current of 1804 amps at full output. With a 6.41% internal impedance it has an available short circuit current of 28,148 amps. An OCPD with a rating of 30,000 amps or greater asymmetrical interrupting capacity (AIC) will be sufficient. For these types of calculations if the transformer is powered directly off the utility grid, available power on the primary side is assumed to be infinite. If you suspect that the feeder cables between the transformer secondary and the first OCPD is a significant factor and want to use it to justify an OCPD with a lower KAIC then you will need to calculate the feeder's impedance in ohms and convert the % impedance of the transformer to ohms also, in order to calculate the available short circuit current at the OCPD. The two of course will be in series. The worst case assumes the feeder impedance is zero ohms so it is always safe to use that. Choose an OCPD with the wrong rating and you have either wasted a lot of money or placed your facility in grave jeopardy. For example a 600 volt (maximum) 3 Pole 800 amp 80% thermomagnetic circuit breaker with a 30,000 amp interrupting capacity (30KAIC) at 480 volts typically costs in the vicinity of $1000. A comparable 800 amp 100% electronic circuit breaker with a 50,000 to 65,000 amp rating typically costs in the vicinity of $10,000. Choosing the wrong one, usually one too small to save money is a sign of a serious engineering error. In my experience in the US it is rare but unfortunately it does happen, I see it every now and then. A short circuit on the load side of a breaker with too small an asymmetrical interrupting capacity can cause an enormous explosion and fire, the result of the entire available power of the transformer (1.5 million watts in the case above) being fed into the short. The temperature will probably rise to about 30,000 degrees (hotter than the surface of the sun) for a few thousandths of a second before the explosion occurs. When it does, it may destroy the facility's entire electrical distribution equipment, all connected electrical loads and cause a serious fire. Anyone near the explosion will likely be severely injured or killed. The pressure by all managers to cut costs at every opportunity should be resisted in instances like these. Even if the accident happens decades after the mistake was made, the person(s) who was responsible for it can usually be tracked down.